Hi! My name is Cami. I am the girl who succeeds! 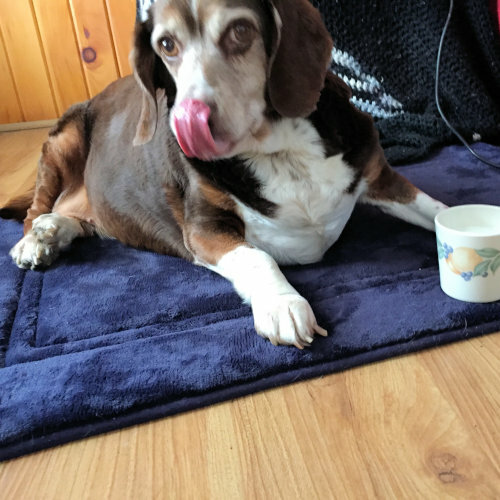 When I was first rescued, I was horribly overweight and could barely walk. Now, I have lost almost 40 pounds, and I’m a totally different girl! I charge through the doggie door to go outside. I love being out in the yard, basking in the sunshine and sniffing every single inch. I also love taking walks. Although I still can’t go very far, several short walks a day with my new family is just what I’m looking for! I need someone to help keep me going on my mission to be healthy! I am totally loving and enjoy relaxing on the couch next to you. I love being petted and will let you pet me all evening long! When I want attention, I will be sure to let you know. 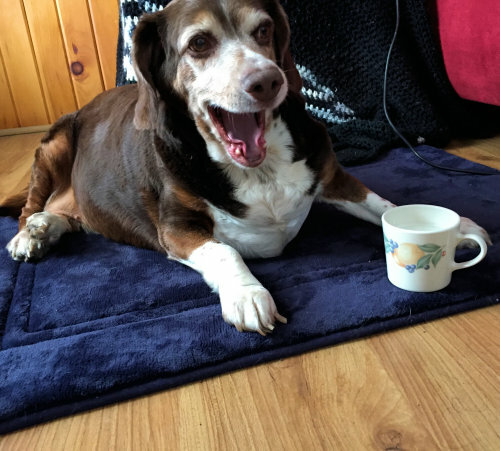 I don’t have the typical dog bark, or even the typical Beagle bay; it is more like singing! When I sing, my ears flip inside out! Then I get all freaked out trying to “fix” my broken ears! Foster mom says it is kind of fun to watch. I get along great with other dogs, although puppies are not my favorite. Toddlers too! They are a little to rough and tumble for me. I also do get a little possessive around my food. After all, when you are on a strict diet, you don’t need someone else trying to steal your food! Other than that, I get along with everyone, and my best friend right now is a kitten! 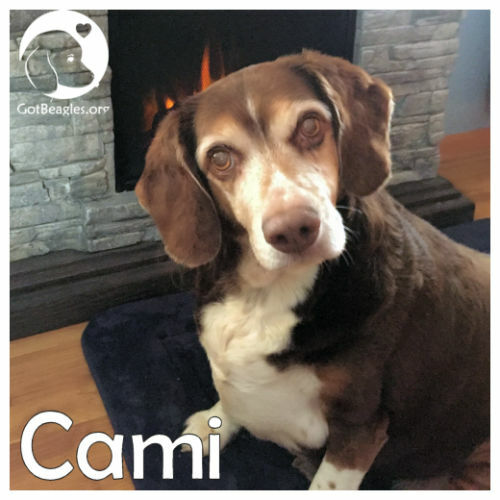 I’d really love a forever family who loves to be loved, loves to hang out with their Beagle girl, and loves to explore the neighborhood on walks. Could that be you? I’ll be waiting to hear from you!